During the 1939 campaign the Polish Army destroyed or damaged more than 900 armored vehicles of the Wehrmacht. Contrary to popular opinion, the German tanks were met with effective resistance, exemplified by the Battle of Mokra, Jordanov, a suburb of Warsaw and Kampinos Forest. In addition to field artillery 75mm and Bofors 37mm anti-tank guns large role was played by anti-tank guns UR, one piece allocated to each platoon of infantry or cavalry. Secret project AT rifle wz. 35, code-named Uruguay – hence the acronym Ur, went into production in 1938. 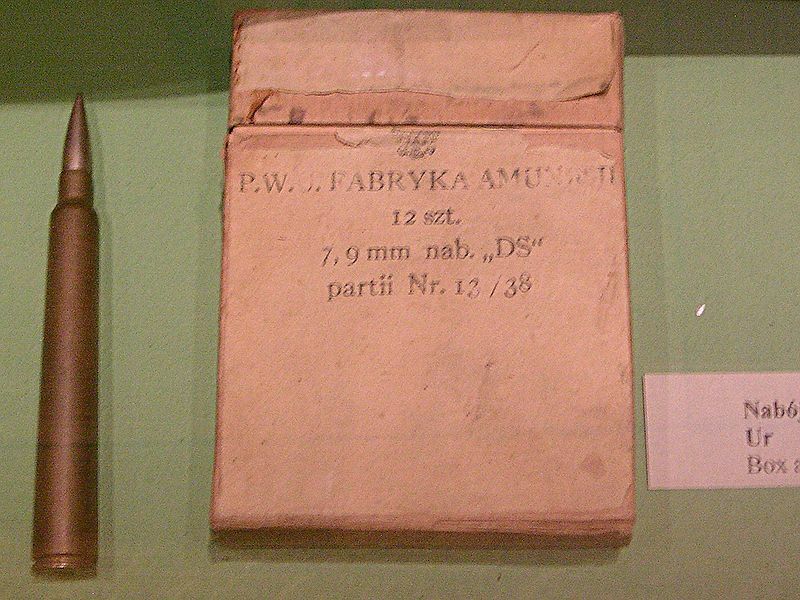 Thanks to the huge cartridge case the high velocity 7.92mm bullet pierced the armor of tanks killing tankers with broken armour fragments and of molten lead droplets. So hit the tank except the small hole was undamaged and suitable for further use- except that the crew was dead or wounded. 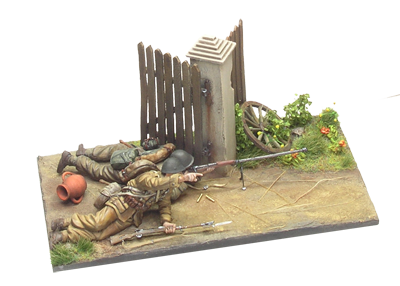 UR Rifles were allocated by the Combat Rugulation of the one piece on a platoon, in practice, not all units have received it before the war. 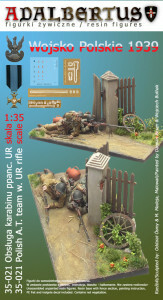 10 motorized cavalry brigade received them on September 5th, so after a battle with a German Panzer Corps at Jordanov. 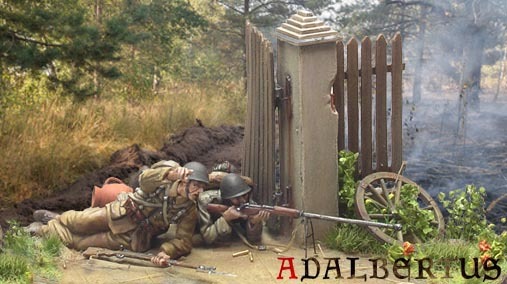 After the fighting Ur Guns were taken over by the both aggressors: German and Soviet. 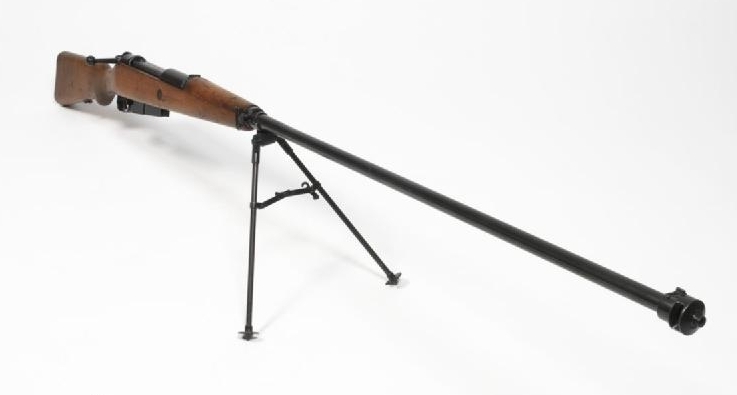 Germany used them as PzB 35 (p) on the Western Front in 1940, including assault in the Eben Emael . Then the gun was sent to Italian Army, and after their surrender again into the hands of the Allies. 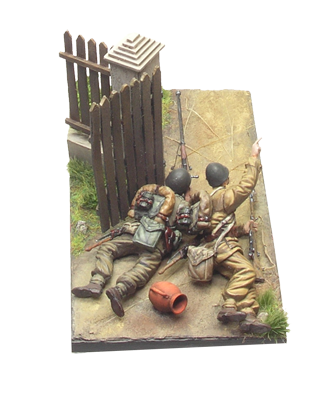 Our diorama in 1/35 scale shows two soldiers using Ur armour piercing rifle. 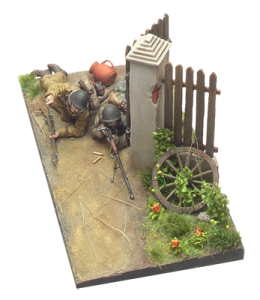 The scene is placed in the Polish countryside, soldiers are lined up in an ambush at the passing Panzer tanks. 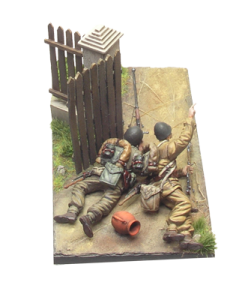 Figures were sculpted by the Odzial Osmy of Lodz, the scenery made ​​by Michał Madeja. 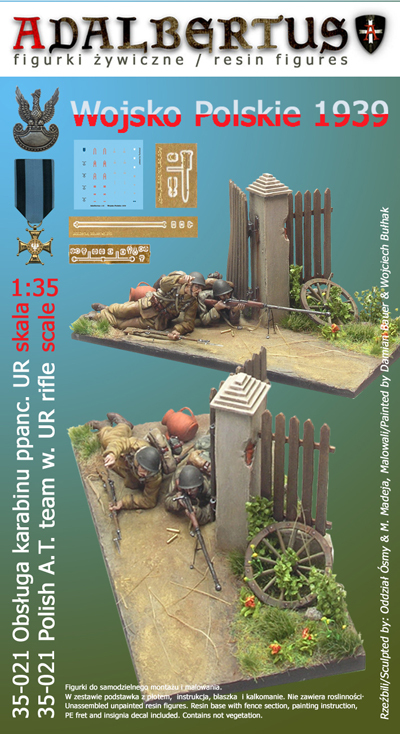 Included in set are figures and base of the scenery – the decal with insignia of uniform and photoetch with bayonet and Mauser strap and anti-tank rifle bipod. 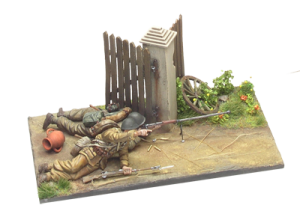 Figures were painted by Damian Bauer and scenery Wojciech Bułhak. To paint has been used a set of paints in bottle – Polish Army in 1939.